because it takes a lot of planning to fix crockpot meals. my schedule isn’t always convenient to cook at all. I often make up my own recipes, and sometimes they don’t turn out right. But the challenge is on. This month I’ll post recipes for meals and desserts. They will include cooking times for 8-10 hours on low all day, others set for high and low, and desserts mostly for 2-3 hours. Don’t be surprised if I post the flops as well because who knows – you may have tried the same recipe that flopped but you perfected it and can share the ideal fix. I read one blogger’s viewpoint about getting out the slow cooker. She has limited space and keeps her in the basement. That would be a chore to have to go downstairs to get the crockpot and bring it up every time you want to use it. Furthermore, you’d have to have a plan. That particular blogger plans her meals about like I do – whatever sounds good at the time. That’s okay but not so much if you’re planning a crockpot meal. You have to PLAN the meal ahead of time because it takes hours to cook. It’s easy but not quick. However, the nice thing about it is that if you are super busy or you work all day, you can put the food in early in the morning and not worry about it until it’s done 8-10 hours later. Then it’s ready to eat. The generation of the 21st century is in a hurry, always on the go, impatient if drive-through food isn’t quick enough, and on and on and on. That’s scary. I mean, what will it be like in the next generation if things don’t slow down a bit? That’s another blog post, and I won’t go there now. 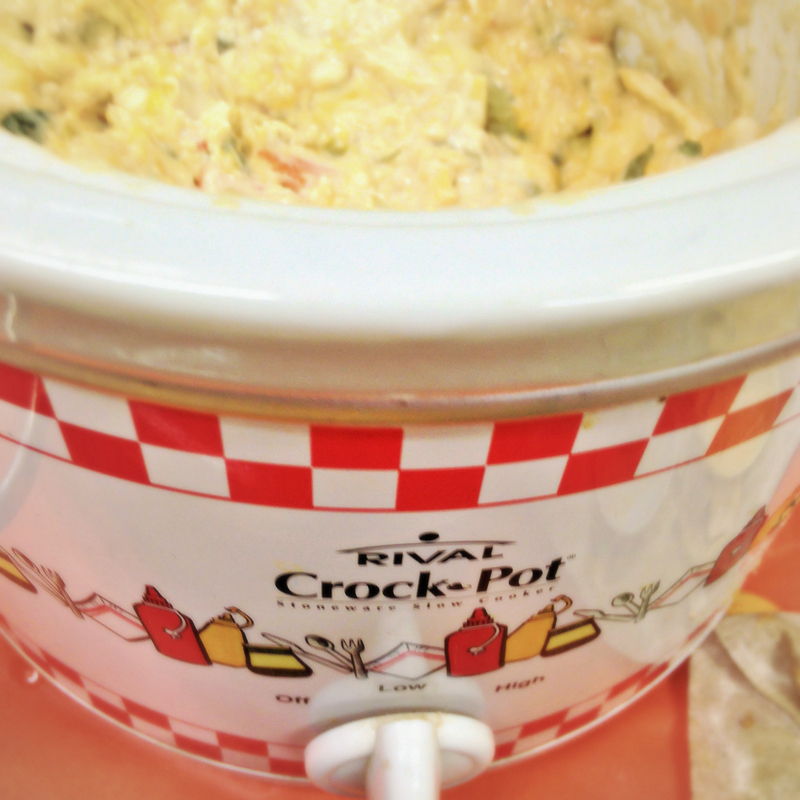 For now, we’re talking about S-L-O-W cooking in a crockpot/slow cooker. My friend told me tonight that years ago, she gave her mother a slow cooker. Her mother didn’t know how to use it, so she gave it back to her daughter. A long time later, my friend’s parents moved in with her. Finally, she showed her mom how to use the crockpot. Now, her mother cooks meals all the time in it. Isn’t it funny how we get stuck in a rut of doing things the same way because it’s familiar to us? I’d love it if you’d join me for this month’s slow-cooking journey. It’s going to be an interesting time. Get in on the fun of it with me. Share your crockpot tips, offer advice, or let me in on a funny slow-cooker story. Be on the lookout today for my crockpot cobbler dessert.